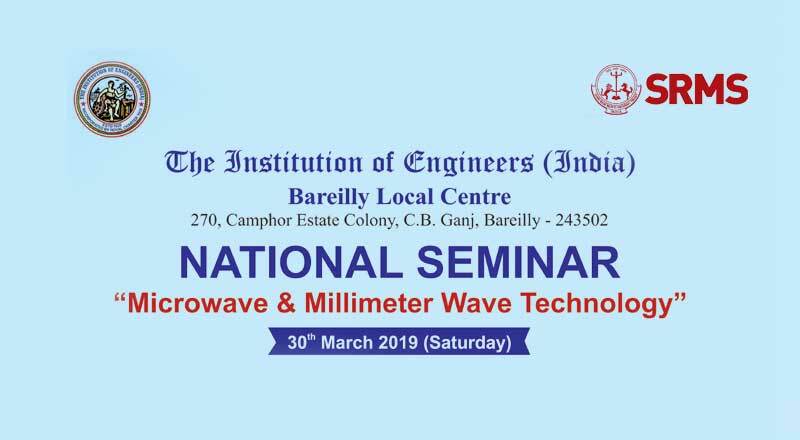 The field of Microwave and Millimeter wave has experienced a gigantic change in outlook in the most recent decade in mission for fast, ultra high increase, relative wide data transmission, polarization immaculateness alongside scaled down structure. From being an innovation that had imprisonment to guard and military based applications, it is presently in the cutting edge as a principal innovation in Wireless interchanges, for example, 5G, fast calculation and other modern, medicinal and business applications. Difficulties are various due to irregular non-linearity, non-homogeneous condition and disseminated parameter based examination. As uses of Microwave and Millimeter wave proceed to develop and as this innovation turns into a typical factor in the logical and building networks it is basic that rehearsing engineers, researchers ought to be completely acquainted with the estimation standards, gadgets and structure essentials fundamental the innovation. This workshop will manage the designing networks alon slope of known information, with the most elevated regard for the fundamental ideas that structure the establishment of creations and disclosures. Design of Microwave active & passive components. The certificate of participation will be provided by IE (I) at the end of the program.